Public Service Announcement! 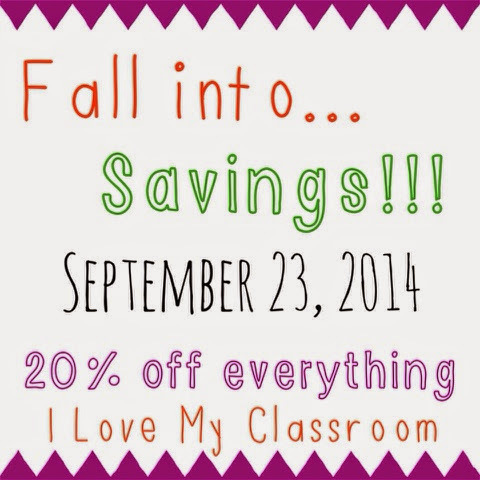 Tomorrow (or actually in 7 minutes), my entire store will be on sale for ONE DAY ONLY! 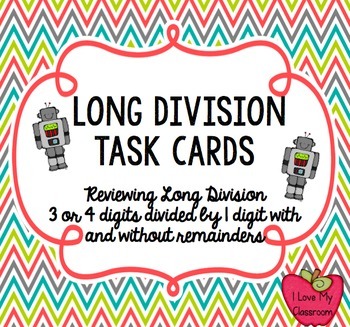 This includes all my task card sets. This includes all my bundles. This includes all my CA History items. and all my Projects! EVERYTHING is on sale. I just wanted to share our region maps with you. The kids each get a 10x10 board (it's a donation from a past student's family). Throughout the week they practice drawing the shape of CA as part of their homework. Then Friday comes, and they do the shape on the actual board. After drawing the shape on their board, they knead their dough bags. To make the dough, the kids each bring in 1 cup of flour and 1/2 cup of salt in a freezer gallon size bag. I add 1/2 cup of water and close the bag, and they then "massage" the outside of the bag to mix it into a cookie dough consistency. It's enough dough to cover the state and have some left over as well. On their boards, they fill in CA, and add detail for the bumpy mountains, flat valley, adding the rocky coast, and the flatish desert. We filled in the boards right after recess on a Friday, and by the end of the day it was ready to fill in the rest of the board. 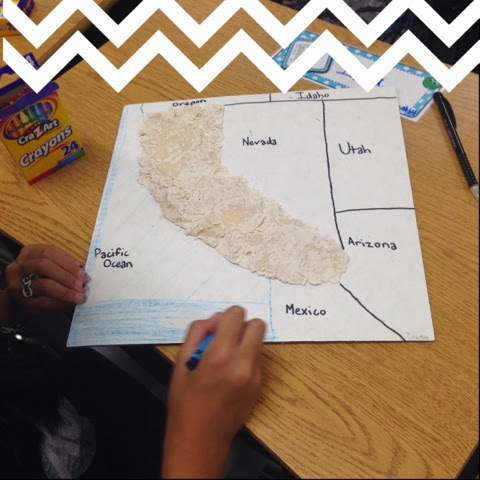 I had them draw the borders and label for the neighboring states, Mexico, and Pacific Ocean. They then colored the board and let it completely dry over the weekend. The following Monday morning it was time to paint. Usually I paint outside, but this year I wanted them to sit at their desks to be able to focus. Usually in past years I had them paint the oceans too, but I really wanted to limit the paint... for my own sanity. Before school my 8 year old son added a paper plate, small paintbrush, and a paper towel to their desks. Then I put a little bit of green, yellow, and brown onto their plates. We started with the green, moved onto the yellow, and finished up with the brown. After each color, they removed the paint on the paper towel, went outside to the bucket to rinse their brush, and then continued on. It really was headache free. After painting, the boards went back outside to dry for the day. In the afternoon we added some wet glue and gold glitter on the coast to signify the coast, and for our state nickname "Golden State". All in all, it's a fun project. Have you used Salt Dough before? It can be used for many purposes. I like things to be easy. At the beginning of the year, a fundraiser needs to be easy to fit into a hectic schedule. My team used to do a Spell-a-thon to raise funds, but that meant we had to then grade the 100 word spelling tests. Not necessarily fun. So we switched to a Walk-a-thon, and it has worked out great. 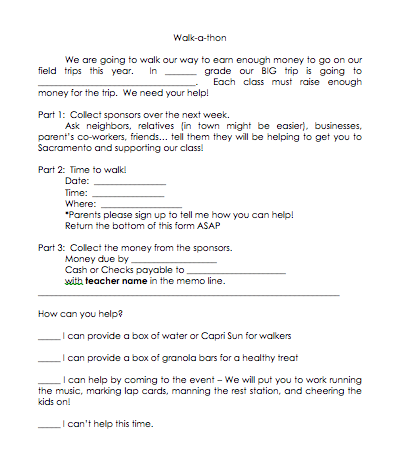 It has some donation supplies on the bottom of the form, asking for bottles of water, or a treat to share after the walkathon. My big thing is to be able to give each child a water bottle when they walk. 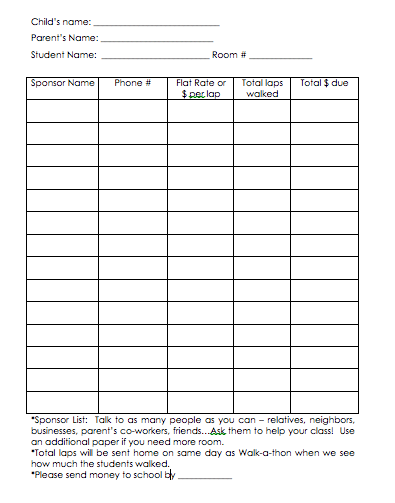 On another sheet of paper we have the sponsor log. Then we make a big deal in class and on email that our students will receive rewards for bringing in donations. 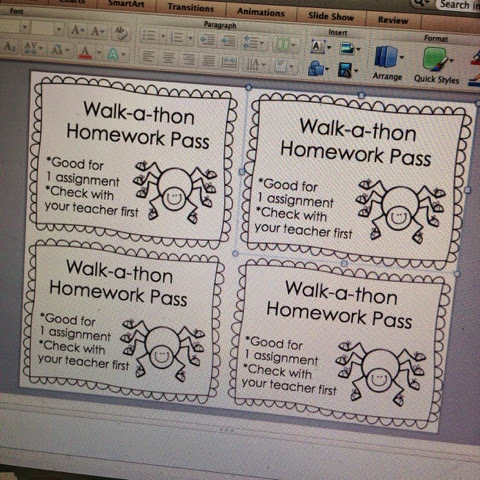 Every $25 that a student brings in will earn them a homework pass. The top 3 earners will win a gift card to their choice of places (Target, Coldstone, Starbucks, Menchies...). On Walking Day, I label the tops of the water bottles with their class numbers, and then put the bottles and an index card on their desks. When we head outside they bring both items with them. The water bottle is put near my corner of the blacktop so when they come by to get a tally mark on their lap (index) card they can also get a drink. We have 4 classes, so each class takes a corner of the blacktop. Each teacher also chooses a different color sharpie to make tally marks on the cards, and the kids know they are only allowed to come to our corner to get credit for the lap. If kids want to take a seat, that's fine. But the competitive spirit usually makes some kids want to get as much as possible. In 4th grade we walk for 45 minutes. Our first grade buddies walk for 30 minutes during theirs. Some years we have music blasting, some years it's a little quieter. The kids still have fun! All in all though it's a very easy fundraiser to complete. What do you do to raise money? This year I am having so much fun teaching grammar. Say what?! Yes, I am having fun! During the first trimester I have been spotlighting one part of speech per week. I usually choose something that ties into our mentor sentences. 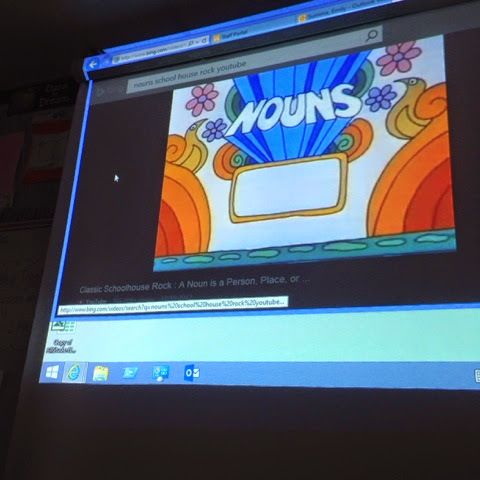 You might already do this, but I pull up Grammar Rock on the big screen for my students to watch. I also own the VHS videos (that I stick in on rainy days), but when it's just one video I pull up the link. After we watch it I give them a couple of pages from this pack. 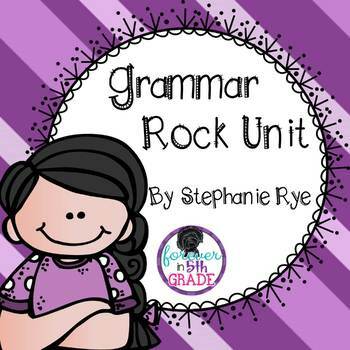 Stephanie has the lyrics and then activities for each part of speech. 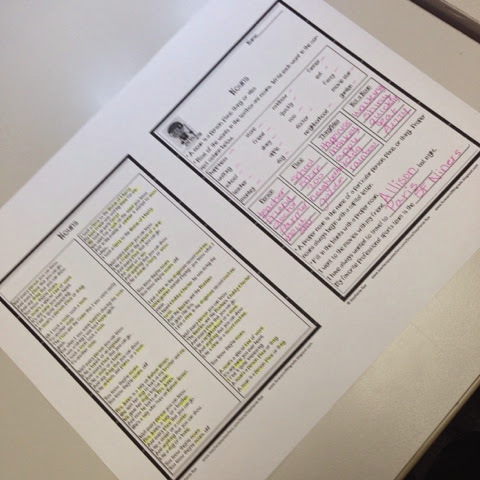 I shrunk them down 2 per page for the students to glue into their ELA Composition book. 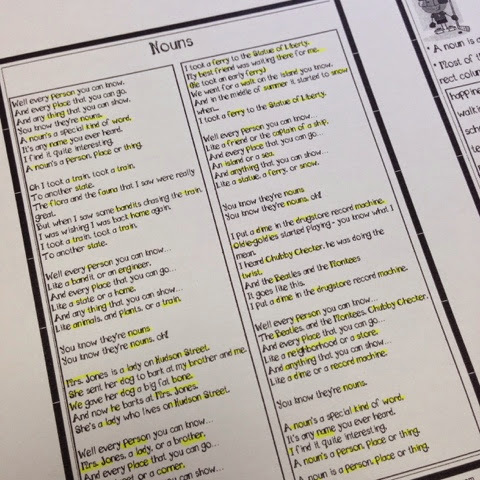 We talk through the song using our highlighters to spotlight the certain part of speech. Then the kids get a chance to practice themselves using the activity sheets. I also have the songs on our class iPad, so after we learn it, it will go into the song rotation when I'm playing DJ. It's wonderful review. 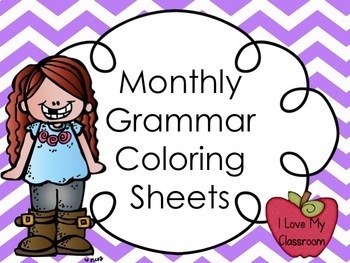 Speaking of review, have you picked up my Monthly Grammar Coloring Sheets? My kiddos love to color, and this gives them some extra practice. Do you do something fun for Grammar? Please share! 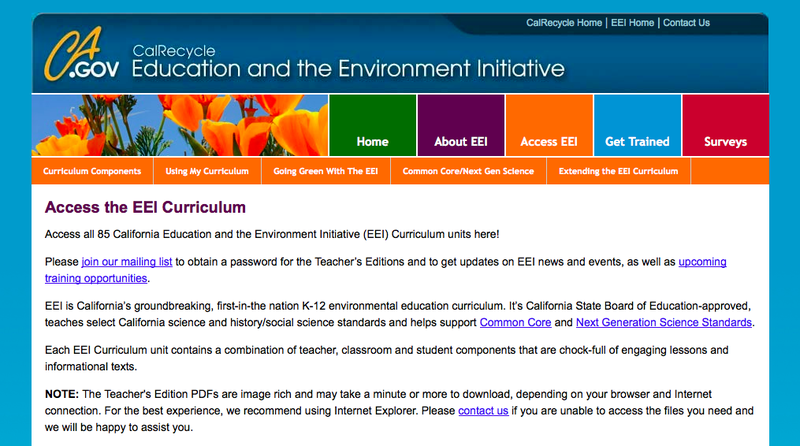 California Teachers - FREE Science and Social Studies Materials! This year has been a struggle with Science and Social Studies. The big thing is that the kids aren't allowed to write in their workbooks anymore since the adoption is up. Of course I still need to teach the standards, so when a teacher friend shared this with me, I was so excited! 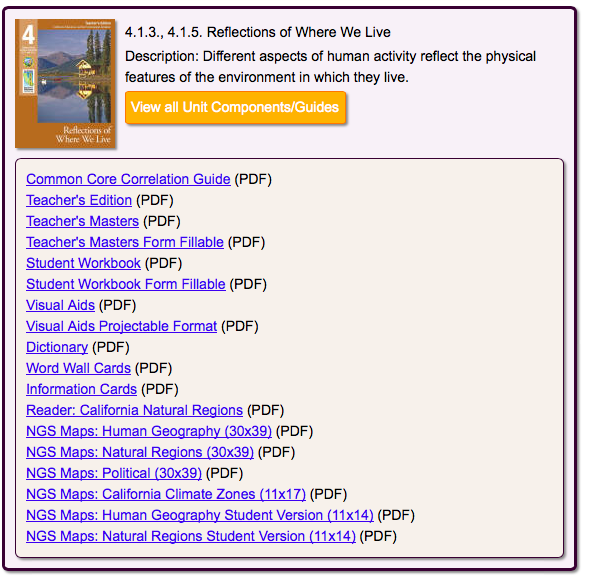 These are free teacher and student materials that allow you to go deeper with the curriculum. It looks like above. 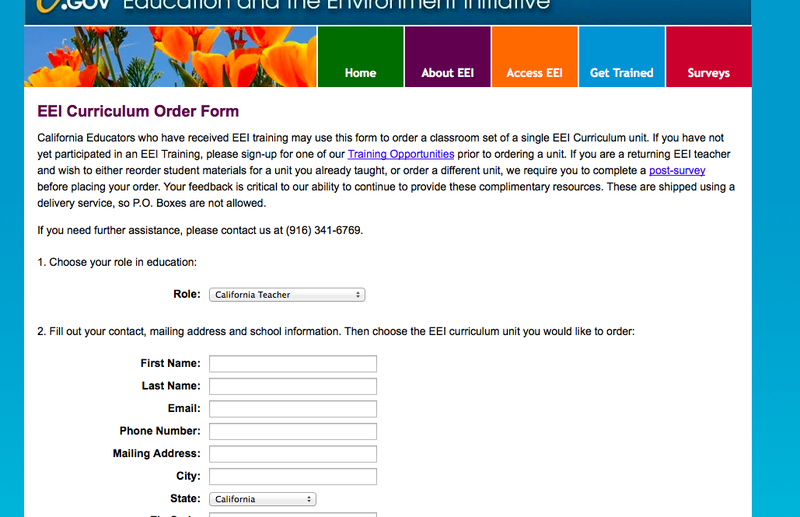 From there - before you can order materials, you have to be trained on how to use it. Click on the "Get Trained" tab near the top. It will look like this. 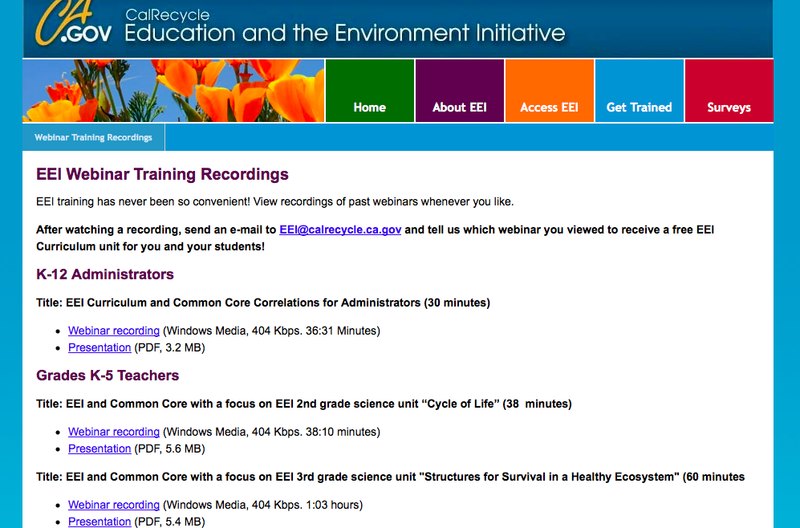 They have, or used to have in person and live trainings, but you want the one that says "Watch Recordings of Past Webinars". Depending on your grade it could be super short, or a little longer. If you do it at home, you can definitely multi-task. 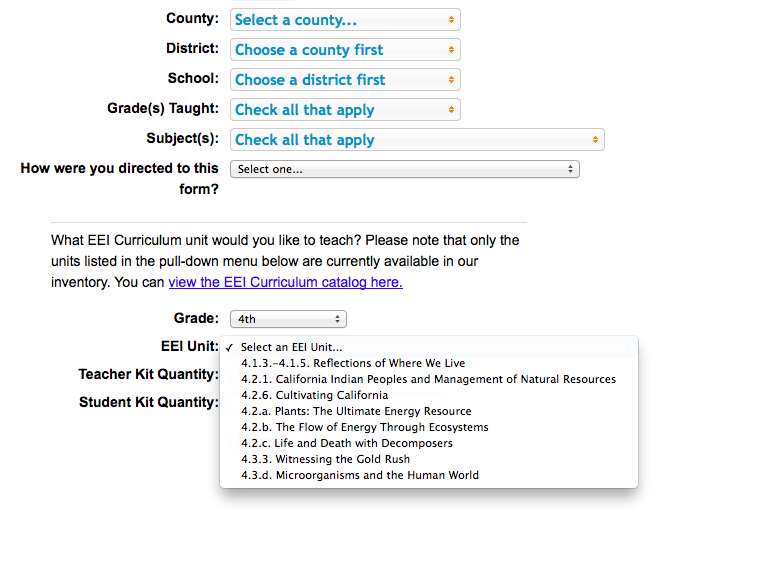 It explains how the curriculum works. After you click the Watch Recordings, it will take you to the grade specific screen. Yes, they have material through high school. 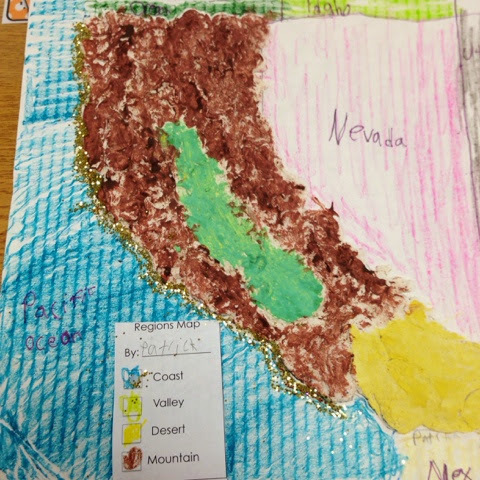 My 4th grade one was about the Gold Rush. 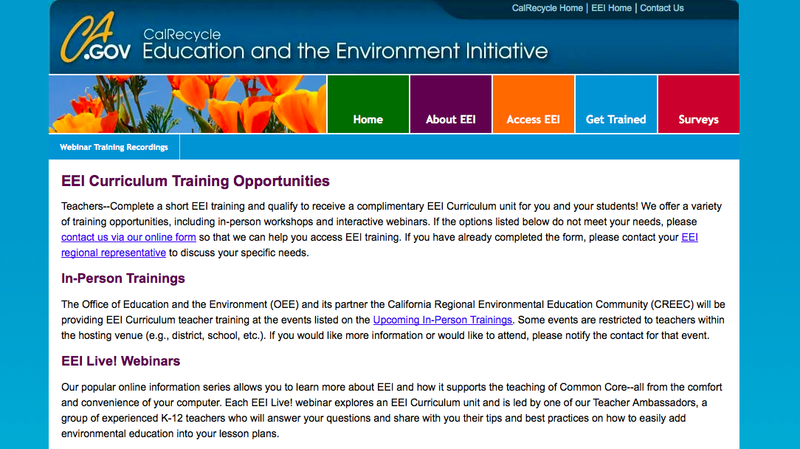 From there, after the training, you need to email EEI@calrecycle.ca.gov and tell them that you watched their webinar (give specifics as to what webinar you watched) and that you would like materials. They email you right back with an order form. I did my initial order form on Labor Day and had my materials 4 days later on Friday. Quick turnaround! Inside my big box was everything needed to go in depth with both Regions and Native Californians. 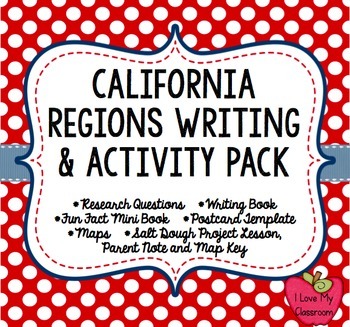 They sent student workbooks - separate ones for Regions and another one for Native Californians, dictionaries, posters of CA Regions and Tribes, Vocabulary Cards, Word Cards, and a bunch of teacher materials too. We covered Regions yesterday and today using the materials, and are set to work on Native Californians when we get there in 2 weeks. They also have a bunch of science options. Since I could only order one set at a time, I just went on and completed the quick survey so I could order an Ecosystem set as well. These are all based and created on the new CA standards. Keeping Busy - Reading Products that Work! I hope you had a good weekend. 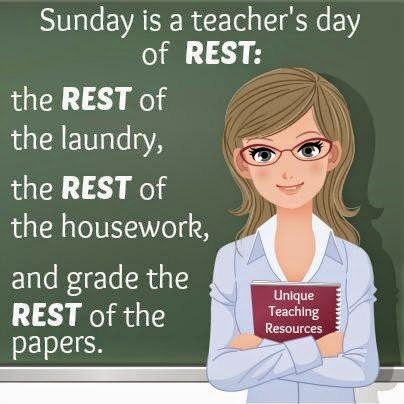 Mine consisted of "trying" to clean my house. 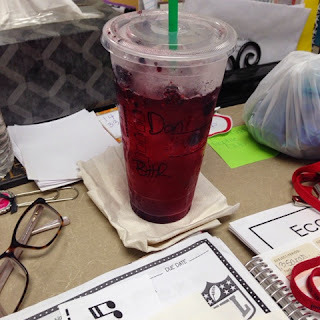 It's one of those 2 steps forward, one step back type of things... One thing that I loved was having all my papers & tests graded before I left school on Friday, I contribute that to my husband bringing me my favorite Starbucks drink to school. Gotta love a little caffeine to power through. I know, he wins the best hubby ever award! What are we tackling this week at school? Our main story this week is Chapter 3 of Charlotte's Web "Escape". We are actually reading the entire chapter book as our read aloud, so the kids have already heard it before. I love when these kind of weeks happen, as then there is more time to spend working on skills and strategies. *These kids really need to work on their reading skills. 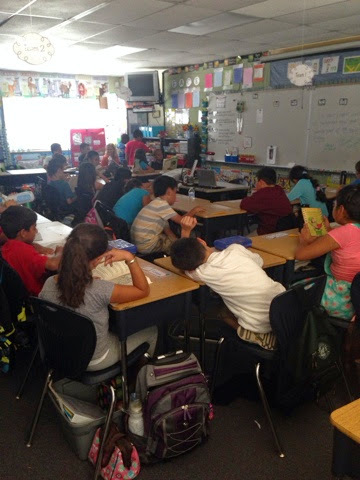 *These kids are probably already sick of working on their reading skills since we are constantly working with them. This year my school is in full Common Core mode. 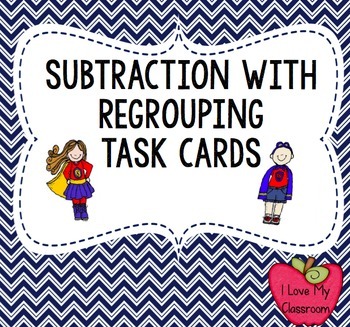 We have new texts for Math, but not for Reading. So I am using our old textbook as a jumping off point, but adding a lot more (since we have been given the green light to expand, create, delete, and not follow everything in the old text). We use this for our vocabulary and writing practice. I didn't copy it off for the kids, but I use it as my jumping off place to get the kids thinking and extending their thoughts. Every week I try to tackle at least 2 strategies. 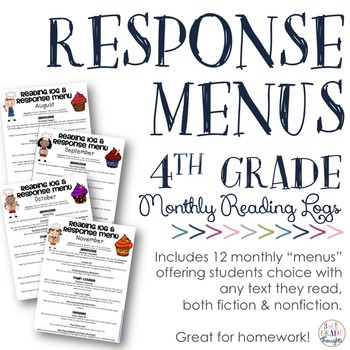 I printed these off 1/2 size and the kids glue them into their Reading composition books. I'm not an expert in Close Reading... yet. But I'm learning about it! I printed these off half page, and they are perfect for kids to glue into their notebooks. 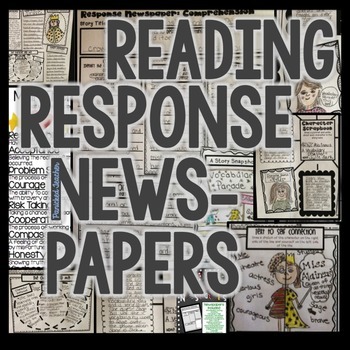 I printed these off at the end of last year, and so far we are using them for Close Read Practice (whole class), and then comprehension is homework. 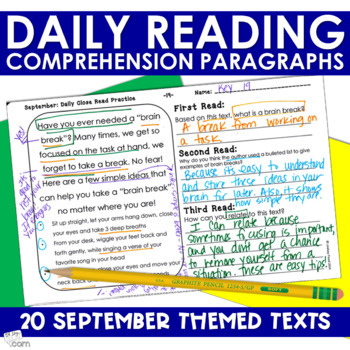 Each week there is an one page article/story, a page with comprehension questions, and a skill page. I use these for homework practice. This year I decided to print them half size - perfect to glue into their composition books. 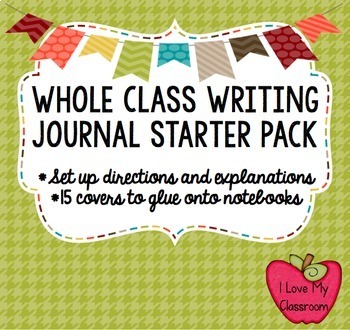 Now it's easy for them to keep things organized by month in their booklets. I love how it's working with their exact standards. 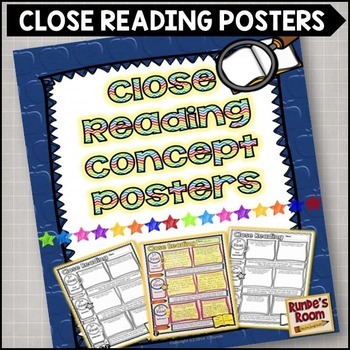 The kids are using these for fluency practice with a parent helper, and then we go through the Close Read part as a class. Since I have so much other stuff going on, the plan is to use one of these per week (instead of daily). Like I mentioned, we read together every day. I have the kids write about it every day. It keeps them focused and only takes a few minutes. You know I use Mentor Sentences in my classroom. Since I already have that going on, I added this to our morning routine too. 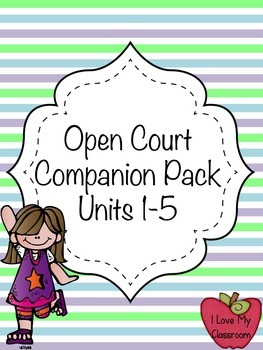 This contains activities for each of the mentor sentences from Jivey's program. 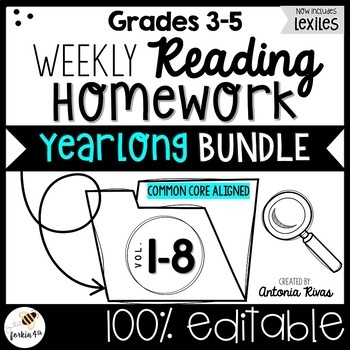 I don't copy everything, but I do use the lessons and the ideas to have the kids dive a little deeper with each book we read. These kids need to practice their fluency, and I'm excited about how excited they are about reading together. I set these up just like the example. The kids take time to practice during our workshop time. 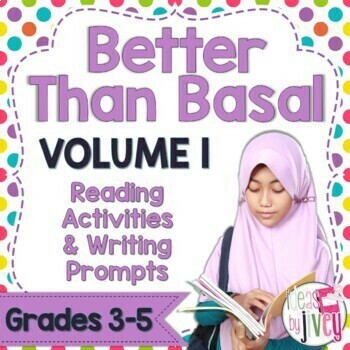 Every once in a while (like once a month), I have the kids do a mini book report over what they have been reading at home. 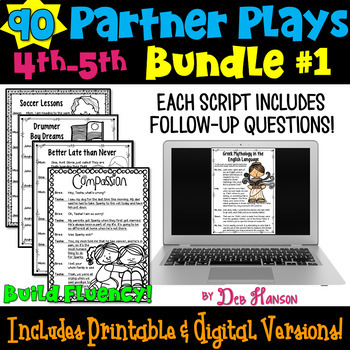 I change up what skills they need to report on - such as characterization, or setting, etc. 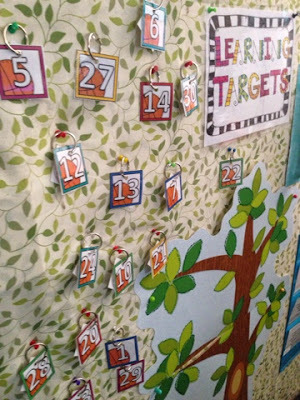 These make an awesome bulletin board! 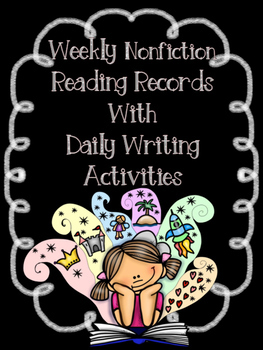 After the student's silent reading (Read to Self), I have them take out their reading logs/journals to write in for 5 minutes. I have these printed out, laminated, and color coded with a dot on the top corner. The papers are rotated around on Fridays from one team to another. 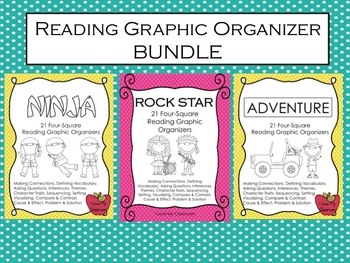 I think it helps keep kids accountable for their reading. Okay - I guess the main point is that I use a lot of stuff for reading in my classroom. All of this on a weekly basis, even more stuff for those "special" projects. What did I do before TPT?? :) What do you use on a weekly basis? For years I have used a modified version of Daily 5 in my classroom. They have options for the other 4, but for Read to Self we do it together directly after lunch. Every year I let the kids sit on the ground to get comfortable for Read to Self. This year I decided not to after that first day of school when they were absolutely silent at their desks... It was so peaceful and calm. No kids were off task. Everyone was able to easily be seen, so I decided to keep that as the standard. Monday through Thursday the kids stay at their desks unless they are switching out their books. On Fridays that changes and students can have "Friend Friday" (partner reading) or "Flashlight Friday" (by themselves under their desks). Yes, I like alliterations. This little switch is making me a happier teacher. 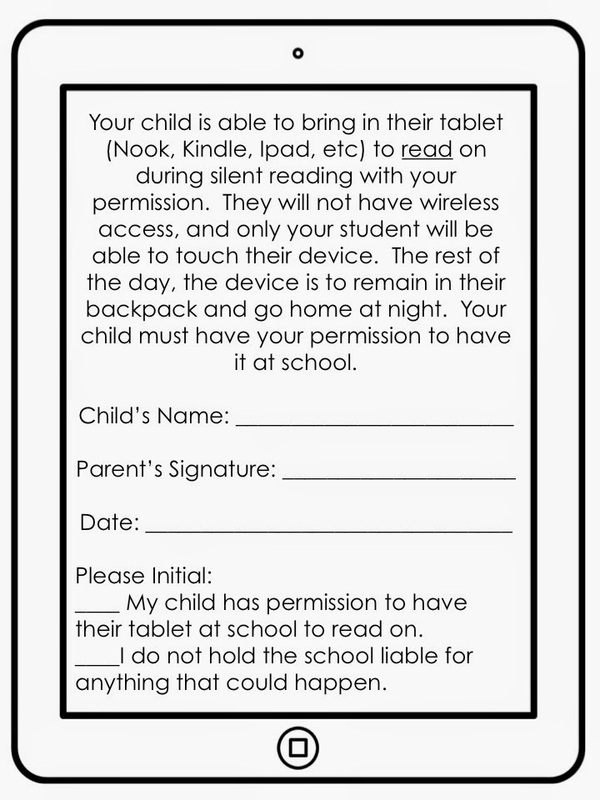 Another thing that I've added this year is allowing my students to bring their devices from home. They can't read on their phones (though they have asked me if they could), but they can have their Kindles, Nooks, and iPads for reading only. If they wanted to bring it in, they had to have their parents sign the permission slip. If you want a copy of it, it's over on Google Docs. Hope you have had a great day! In other news, my Facebook page is about to hit 3,000 likes. I know... Wow! I picked up a $25 TPT gift card that I will be giving away over there when we hit the magic number. Stay tuned! Last year I had way too much going on. It did feel like Pinterest and Blogville blew up in my classroom. So this year I decided to keep the stuff that worked, and whittle it down to maintain my sanity. Going into this year I wanted to have a Data Wall. 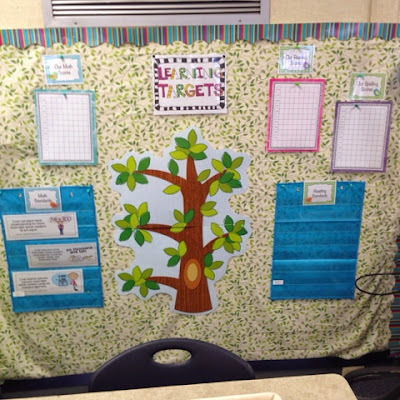 It was important to me to be able to work together on our goals as a class. So I have a small board that has everything we need - standards, class average graphs, tree for things we've done this year, etc. The board has changed over the past 3 weeks though. Last year my students used award necklaces to keep track of their accomplishments, this year I didn't buy necklaces, and I haven't passed these new things out to my kids. Instead, each student has a binder ring on our data wall that they will update with their award cards. We have also gotten into a routine of updating our board. When I'm done grading, I pass out the graded tests to the students. 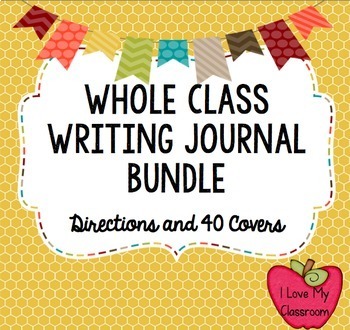 Their binders have a divider for each subject, and a piece of binder paper where they write the test, date, and their score. Then the test goes in their homework folder for their parents to see, and the binder goes back into their desk tubs. 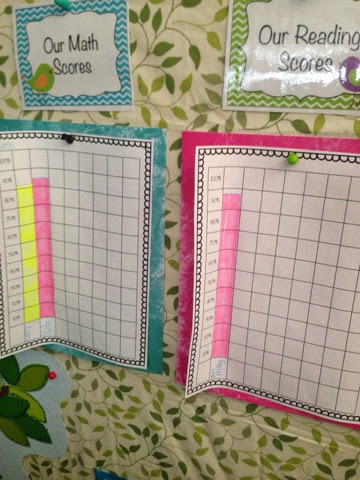 I then update the board with our class averages. It's working so smoothly so far! What do you do for data? Hope you had a great day!